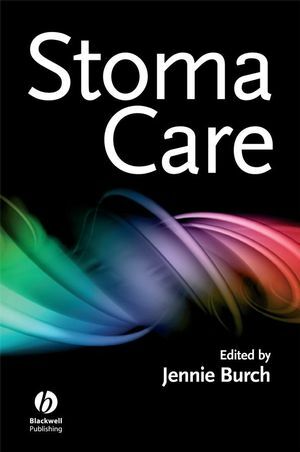 Stoma Care is a comprehensive and authoritative guide for all nurses and health care professionals with an interest in bowel conditions that may lead to stoma formation. It explores the anatomy and physiology of the urinary and gastrointestinal system, and looks at topics including familial adenomatous polyposis, continence issues, nutrition, and conditions leading to stoma formation, complications, fistulae and intestinal failure. It also discusses the role of the nurse in surgery and in pre-and post-operative care. Jennie Burch is a?Clinical Nurse Specialist at St Mark's Hospital, Harrow, UK. 1 Stomas: The Past, Present and Future (Jennie Burch). Roles of the stoma specialist nurse. The future of stoma care. 2 Anatomy and Physiology of the Urinary and Gastrointestinal System (Jennie Burch). Accessory organs associated with the GI tract. 3 Colorectal Cancer and Adjunct Therapy (Deep Tolia-Shah). Assessment, staging investigations and the multidisciplinary team. Effects of chemotherapy on stomas. 4 Infl ammatory Bowel Disease (Jennie Burch). Infl ammatory bowel disease statistics. Signs and symptoms for ulcerative colitis. Crohn’s disease: signs and symptoms. Other medical issues in IBD. 5 Familial Adenomatous Polyposis (Jacquie Wright and Kay Neale). The Polyposis Registry and research. Bowel screening of relatives ‘at-risk’. 6 Continence (Julie Duncan and Christine Norton). Normal bladder and bowel control. Obstetric trauma to the pelvic floor. 7 Other Conditions Leading to Stoma Formation (Jennie Burch). Hereditary non-polyposis colon cancer (HNPCC). 8 Surgery (Alistair Windsor and Gemma Conn). Enhanced recovery after surgery (ERAS). 9 Pre- and Post-operative Care (Steve Wright and Jennie Burch). Referral to health care professionals. Cultural/religious issues related to siting. 10 Intestinal Pouches (Zarah Perry-Woodford). The coloanal or colonic ‘J’ pouch. The ‘S’, ‘J’ or ‘W’ pouch. Pre-operative counselling (surgical vs. medical approach). 11 Urinary Diversion (Sharon Fillingham). The Mainz Sigma II pouch (modified ureterosigmoidostomy). 12 Appliances (Jo Sica and Jennie Burch). History of stoma care products. Toilet fl ushable colostomy appliances. Pouch clips and soft ties. 13 Discharge to the Community (Jennie Burch). Resuming social activities and hobbies. Digestion and absorption of nutrients. ‘The Balance of Good Health’. Dietary management of functional problems post-colostomy formation. Dietary management of functional problems post-ileostomy formation. Dietary management of functional problems post-ileoanal pouch formation. Dietary management of functional problems following urostomy formation. 16 Fistulae and Intestinal Failure (Jennie Burch). 17 Bowel Irrigation (Jennie Burch and Julie Duncan). 18 Other Stoma Issues (Jennie Burch).